If you’re looking to get the kids involved in some fun and a little exercise, look no further than a surf and stand-up paddle kids camp. The camp began Memorial Day and will be offered daily through August. 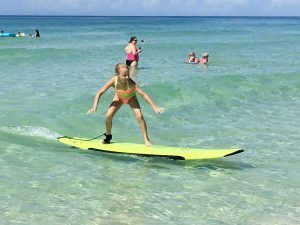 The three-hour camp will teach your child the basics of surfing or stand up paddle boarding, and it will provide memories that are sure to last a lifetime. Anyone can become the next surfer in the family! Book your day camp now. 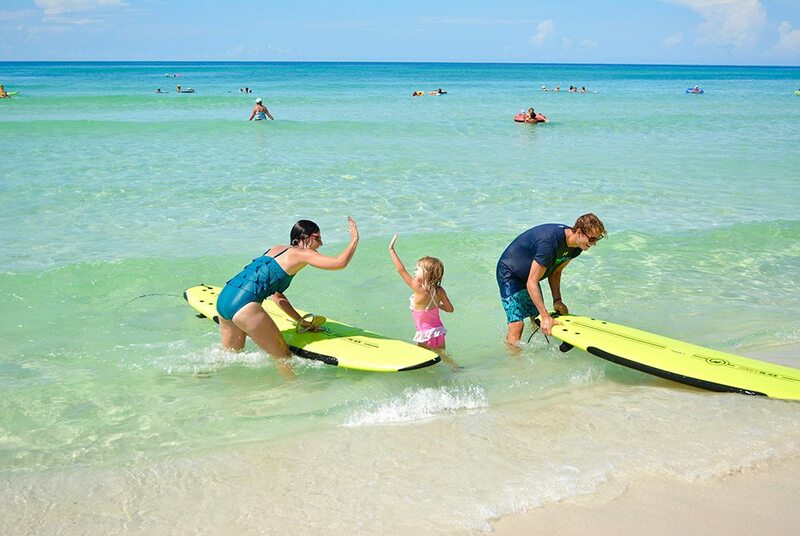 South Walton is the perfect spot for kids to learn to surf and paddle. The waves in the Gulf of Mexico are generally pretty mild, making it less intimidating for kids. And the beautiful coastal dune lakes are calm with shallow areas perfect for kids to learn the balance needed for stand-up paddle boarding. The surf camp meets at Gulf Place and Seagrove while the paddle board camp takes place at Eastern Lake and Lake Powell. Each location caps at a maximum of 12 campers to provide your child with the most individual instruction. Each camp includes an instructor on site, surf or paddle board camp gear, a snack pack and water. The camp is available for children ages 6 and up. It is required that children are able to swim to participate. 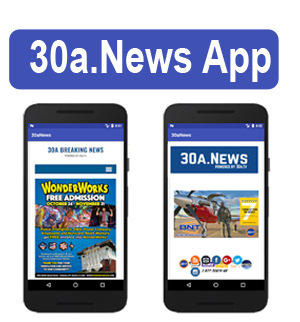 To learn more and sign up, visit: 30atours.com.